Duncan Beiny aka DJ Yoda is no ordinary scratch DJ. 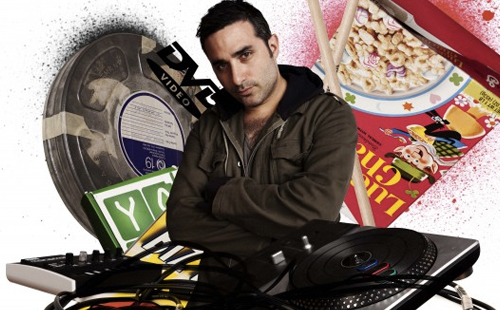 His seminal How To Cut & Paste series showcased a tongue-in-cheek mixing style that prompted Q Magazine to declare him “one of the ten DJs to see before you die”, whilst Hip Hop Connection voted him “one of the top three DJs in the world”. Too many to mention! Could start with Q-Bert, Biz Markie and The Coen Brothers. DJing for George Lucas and the crew of Star Wars! What makes a DJ a DJ? Bringing something to a party that can’t be provided by iTunes shuffle. I don’t believe in embarassing tunes – you should be proud of what you love! Again – so many to choose from. Playing to a naked crowd in Canada was weird. Whatever works for you as a DJ to do something cool and creative – I’ve used both. Big shout to anyone not conforming to boring, soul-less EDM!